Sometimes in life all you need is a plate full of PIZZA, am I right?!? Traditionally a plate full of pizza is also a plate full of calories of carbs and fats and nothing good for your diet though!!! 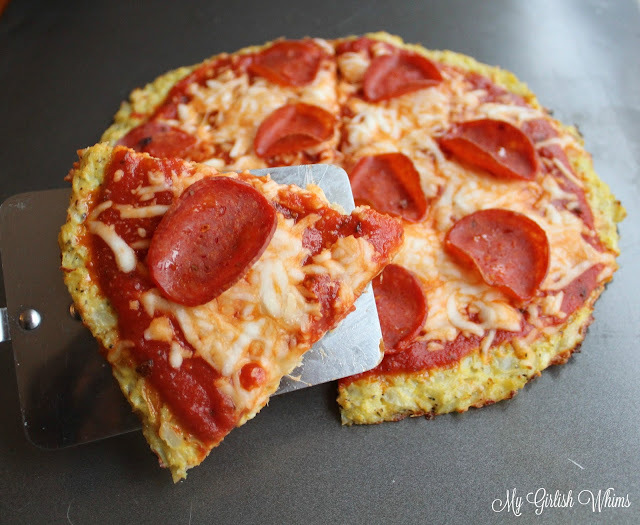 I finally have tried a few different recipes though and am happy to report that this cauliflower crust pizza still tastes delicious (as pizza should), you can still pick it up and shove it in your face like a traditional slice of pizza ;) but is a heck of a lot more healthy than regular pizza! 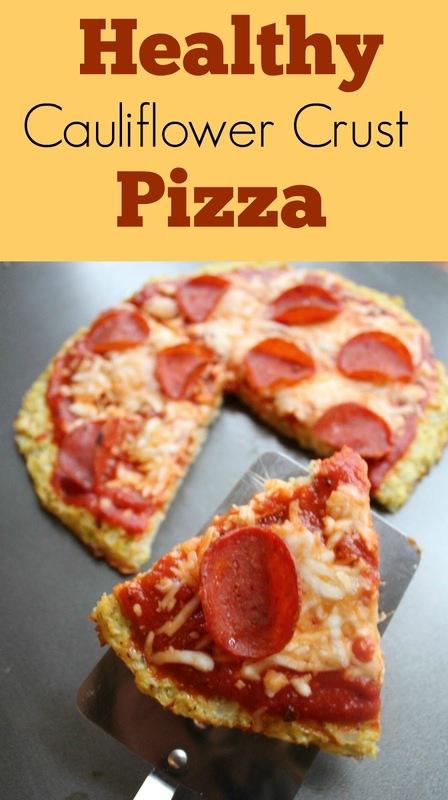 My recipe is for a single serving of pizza and is the perfect portion for a large and satisfying dinner but you can easily double it to make a larger pie to share with the family. I went the traditional route for this pie and topped it with tomato sauce, mozzarella and turkey pepperoni but you could make tons of other flavor combos. 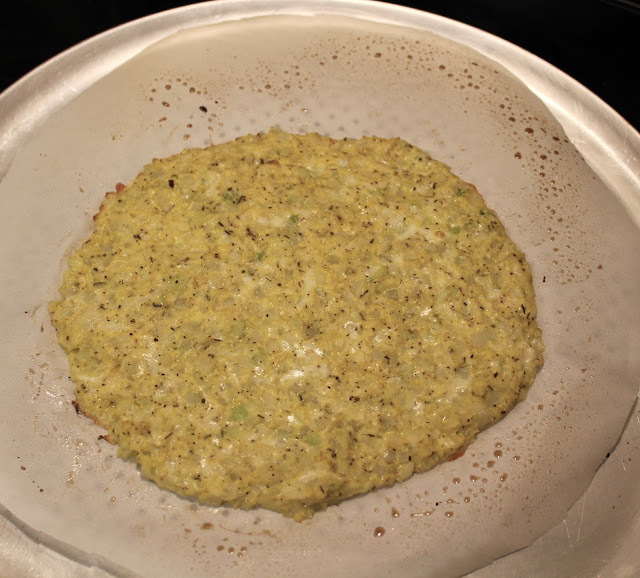 I really like white pizza so think the next version I make I'll use some light Alfredo sauce and maybe top it with some veggies and chicken! First and foremost you will need cauliflower rice! 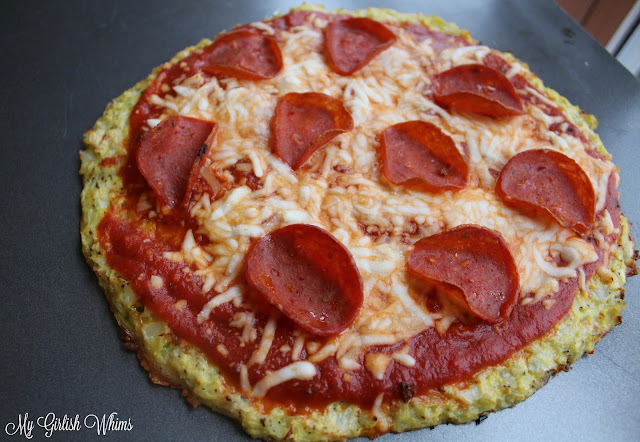 You can make your own by putting a head of cauliflower into a food processor but most grocery stores sell some kind of cauliflower rice pre-packaged or with the fresh cut veggies or even check the frozen veggie section. 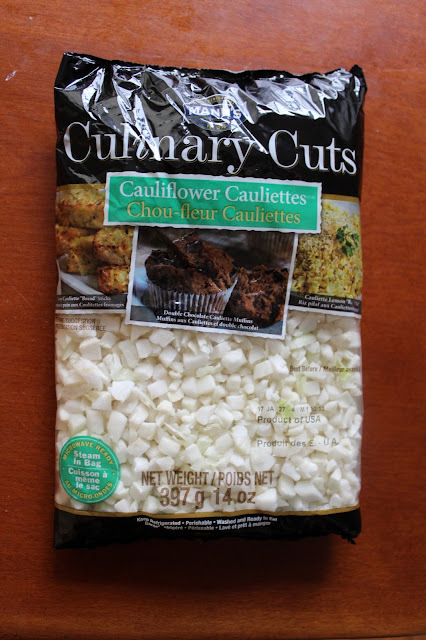 Microwave the cauliflower for three minutes in a glass bowl to soften and then dump out onto a towel. Carefully (the cauliflower will be hot!) 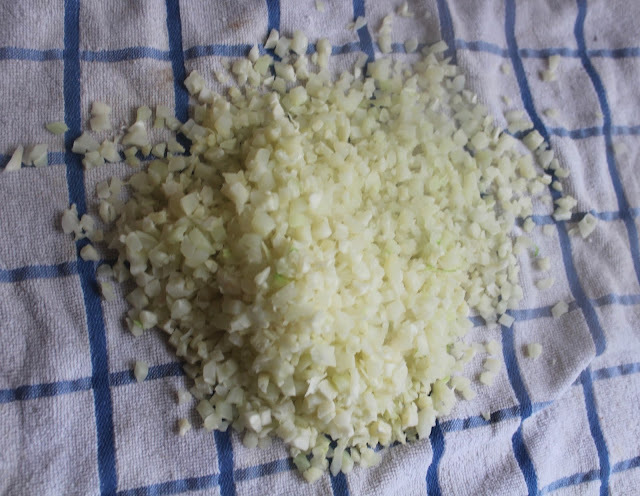 use the towel to squeeze all of the extra water out of the cauliflower. 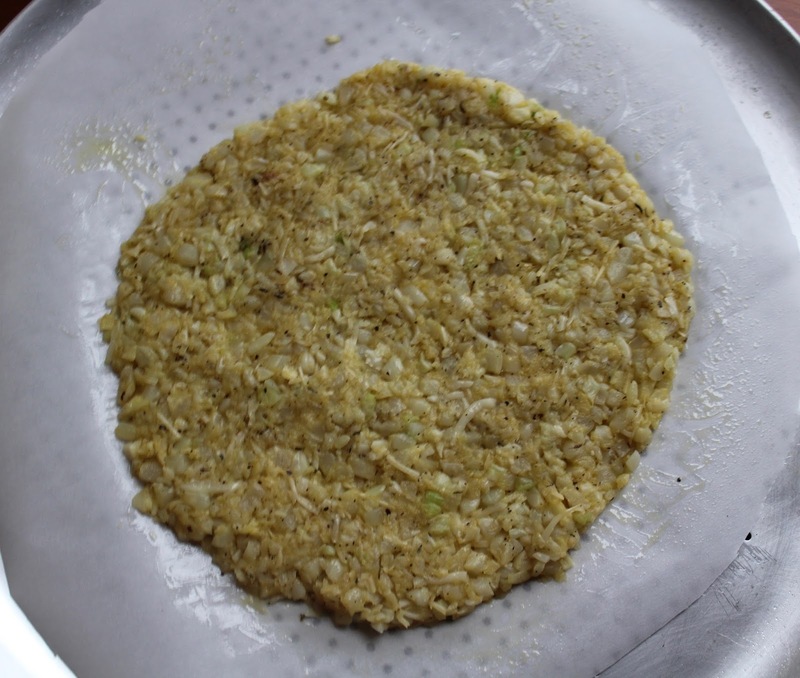 This step is VERY IMPORTANT: you want to get as much water out as possible so the crust will stick together! Violia! Your pizza is served :) An entire pizza without all the guilt. 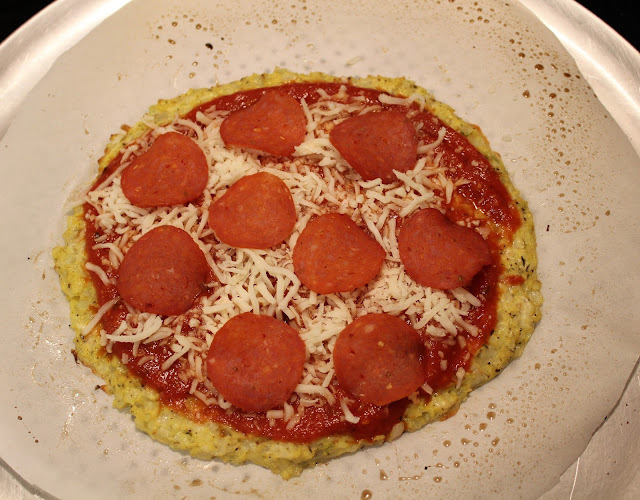 One personal pizza with my toppings came out to 580 calories, 36 grams carbs, 26 grams fat and 58 grams protein. It looks so good, I'm going to try it, the sodium b/c of the pepperoni is really high though as I think we're supposed to eat around 2500mg of sodium a day. 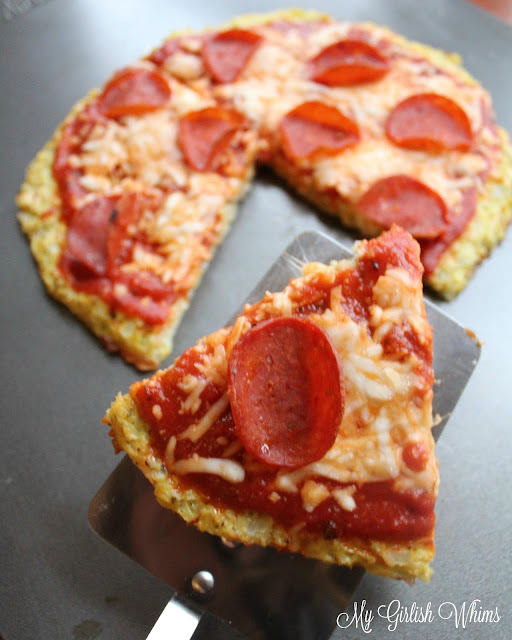 The pizza looks delicious and attractive, I have never tried pizza, when looking at this cake I want to try it.